Greenwich Village is a community that is very much oriented around education. Home to several institutions of higher education, Villagers are thirsty for knowledge and active knowledge creators. The branch frequently works with higher educational institutions, nonprofits, activists, academics and artists to provide programs and services for New Yorkers who live and work in the area. When tasked with the prospect of introducing new, dialogue-based programming to Villagers through NYPL’s Community Conversations initiative, the challenge we faced was choosing a single area of interest to structure our program around. Villagers have a lot to say about a lot of things! Rather than make the choice for the community, we decided to create a series of events that would showcase the dynamic nature of the neighborhood and highlight the many streams of thought and civic activity that make Greenwich Village a unique and bustling corner of New York City. There is a demand for learning-based programming at Jefferson Market Library. The branch meets this demand through a variety of programs, most notably through its popular Jefferson Market University series, which brings Ph.D. candidates and professors from local universities to offer patrons free, condensed, college-level courses in their areas of expertise. This program offered the library a good opportunity to provide enhanced community-oriented, dialogue-based programming, as it regularly serves as a vehicle for the exchange of ideas and information. Expanding on the idea that the library serves as a "people’s university," Jefferson Market Library created a three-part Conversation Conference that would highlight the branch’s ability to be a marketplace for ideas, showcase local talent and bring together patrons from all walks of life to talk about the issues, activities and history that impact them. The library planned to organize three community conversations that focused on neighborhood themes: Greenwich Village Past, Present, and Future. We would build on existing partnerships. We would map our community in order to identify opportunities for new partnerships. We would attract new collaborators among neighborhood experts through an open invitation to participate in the conferences. During the outreach phase of our planning, the library identified many parties interested in participating in the conference events. We met with most of them in person to discuss specifics of the event and to describe how the Conversation Conference was to be different from a typical speaker or seminar program. At the beginning of each session, one person (selected ahead of time through our outreach efforts) would serve as a conversation-starter by presenting for 10 minutes or less on a topic of their choice. From there, a trained conversation facilitator would open the floor and encourage all members of the session to participate through sharing experiences, opinions, questions and general comments. Initially, our Conversation Conference plan was to host three community conversations, once a month, featuring several sessions. The first event featured six separate sessions throughout the day in the library’s lobby and two program spaces. By staggering overlapping events throughout the day, we created a schedule that would allow participants to either float from one presentation to the next or choose to stay to converse on a single topic of interest. The program was well attended with over 60 participants. Some sessions were more popular than others, which suggested that perhaps the staggering of events led to some presentations draining interest from others. We also observed that creating a space that truly encourages equal dialogue among patrons and presenters can be difficult. Although some sessions managed to create the equitable forum we sought, others slipped into more comfortable formats, such as lectures or Q&A sessions. After the first event, the library assessed the success and challenges of the program and adjusted the content for the next. Our second community conversation took place a month later, as scheduled, but featured only three sessions with none overlapping. Attendance numbers were similar to the first conference, but more evenly distributed throughout the sessions, proving that the presentations benefitted from not having to compete with each other. We also stopped referring to the program as a conference and billed the second event as a Village Round Table in order to eliminate any perception of hierarchy within the conversation spaces. The more democratic format encouraged an inclusive environment and flexible flow of ideas in both directions within each session. Finally, the second community conversation featured topics that tended toward political and philosophical ideas and avoided topics that leaned too much on the expertise of the conversation starter. For example, sessions on land-use policy or sound environmental practices, while valuable to program attendees, don’t lend themselves to open discourse — whereas discussions on local history or contemporary politics were more conducive to the sharing of ideas. Following the second program, the library decided to focus on a more sustainable model that would allow the branch to hold conversations on a monthly basis. Village Round Table at Jefferson Market Library evolved into Current Events Café, a regular program in which participants discuss items in the local or national news once a month. We continue to market our community conversations as programs that are supplementary to existing educational events at our library, but rather than relying on experts, we encourage participants to proactively participate. Patrons attending the program democratically select a topic through an informal voting process at the start of each program. Current Events Café has become one of the more popular programs at Jefferson Market Library and has developed a community within the branch. This final iteration of the community conversations program has resulted in exactly the kind of community mingling we wanted from the outset — each program featuring a lively, moderated and equitable discussion between neighbors of all ages, backgrounds and experiences; parents attend with their teens and tweens, along with seniors and members of the local academic community. Plus, it’s a lot of fun! Nancy Aravecz is senior librarian at the New York Public Library's Jefferson Market Branch. 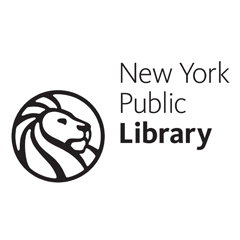 Watch a free one-hour webinar, "Community Conversations across Neighborhoods: Dialogue-Driven Programming," about NYPL's community engagement programming.